The CoMag® System settles floc up to 30 times faster than conventional flocculation treatments, enabling plants to increase capacity and clarifier performance. 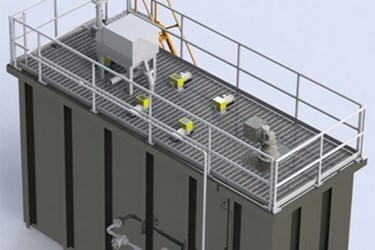 It helps meet tighter regulations within existing tankage and smaller treatment volumes than alternative technologies, allowing facilities to reduce plant investment costs for upgrades. To install the CoMag System quickly at the lowest possible cost, Evoqua offers pre-engineered and pre-assembled systems for both wastewater and drinking water applications.